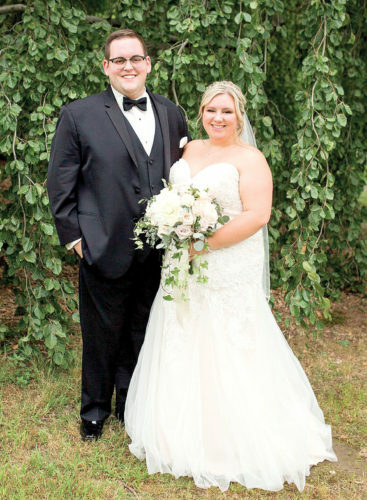 WEIRTON – Makenzie N. Hines and Kyle E. Dunbar were united in marriage during a Catholic wedding ceremony on May 16, 2015 at St. Joseph the Worker Church in Weirton. Father Eric Antwi officiated the ceremony. 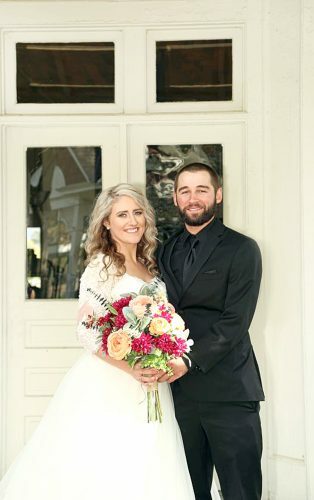 The bride is the daughter of Tim and Jolene Hines of New Cumberland. 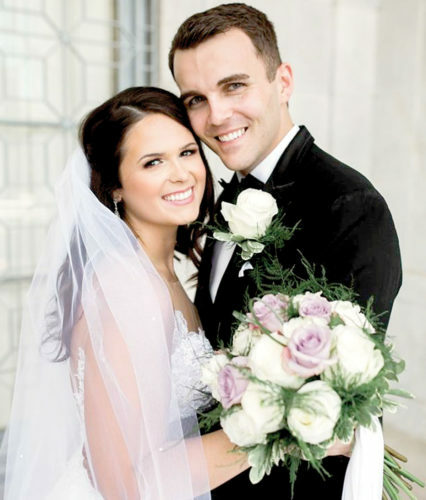 The groom is the son of Timothy and Christine Quinlan of Chester. 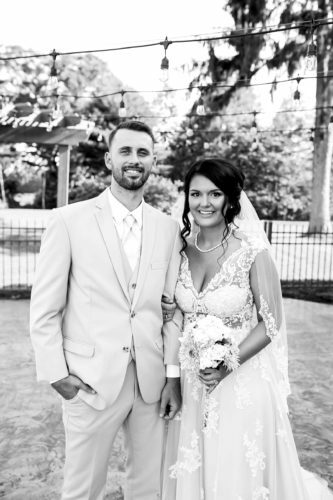 Given in marriage by her parents and escorted by her father, the bride wore a Maggie Sottero ivory A-line silhouette gown with a sweetheart neckline. She carried a bouquet of ivory roses. Susan Fletcher, cousin of the bride was the matron of honor. Bridesmaids were Michelle Beaty, Brianne Carmichael, Leigh Anne Hobbs, Kayla McCormick, Stacee Penso, Kennedy Quinlan, and Billie Jo Schladen. Kensington McConnachie, cousin of the groom was the flower girl. Kasey Hines, cousin of the bride, was guest book attendant. Steven Paris, friend of the groom served as the best man. Michael Ewing, Joshua Greathouse, Chad Hines, Joseph Jimboy, Matthew Murray, Michael Paris, and Daniel Shaw were the groomsmen. Maddox Chaffin, cousin of the groom was the ring bearer. James and Joseph Fletcher, cousins of the bride, were program attendants. A reception was held at the St. Florian Hall in Wintersville. The newlyweds honeymooned in Jamaica. 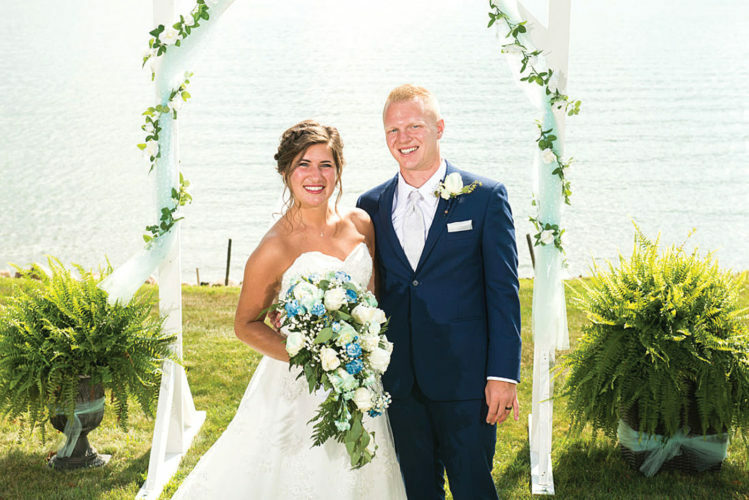 The bride is a 2006 graduate of Oak Glen High School, a 2010 graduate of West Liberty University with a bachelor’s degree in Nursing and 2013 graduate of Franciscan University with a Master’s degree in Family Nurse Practitioner. She is employed at the Vein Center at Weirton Medical Center as a Family Nurse Practitioner. 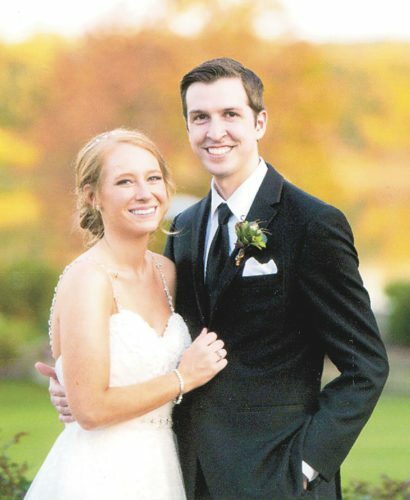 The groom is a 2006 graduate of Oak Glen High School and a 2010 graduate of Fairmont State University with a Bachelor’s degree in Aviation Maintenance Management. He is a production supervisor at Timet in Toronto.